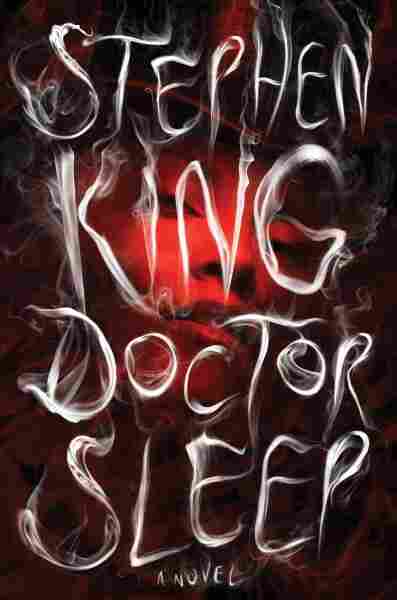 Book Review: 'Doctor Sleep,' By Stephen King Doctor Sleep is Stephen King's sequel to his 1977 smash hit The Shining, about a haunted hotel. Sleep follows Danny Torrance, the troubled son of Shining protagonist Jack, as he gets drawn into a new battle against evil. 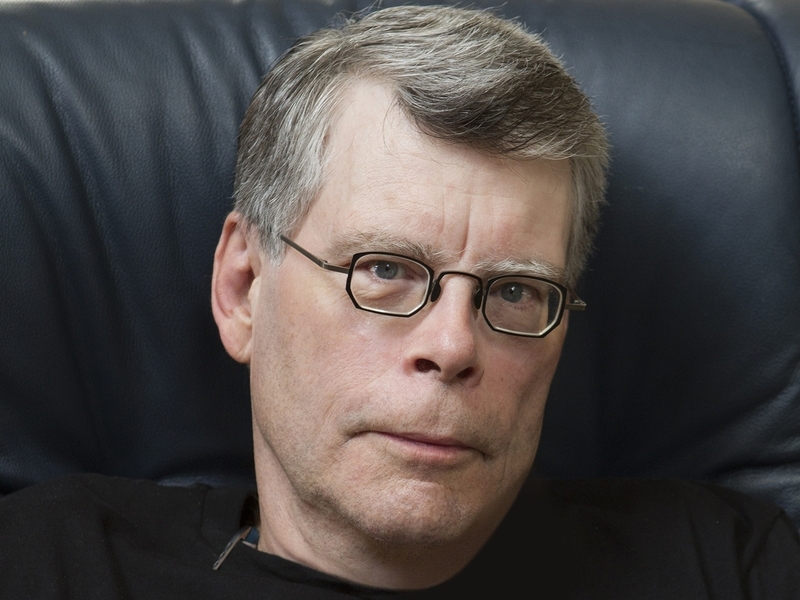 Reviewer Alan Cheuse says King "is still scaring the hell out of me." If you're a dutiful fan of Stephen King's work — myself, I'm an off again, on again follower — you will have read The Shining, King's hit 1977 novel about a haunted resort in the Colorado Rockies. Depending on how recently you immersed yourself in that story, you'll have a sharp or vague recollection of a young child with the power of "shining," or mind-reading mixed with telekinesis. His name is Danny Torrance, and the images that probably remain for most readers, whether recent or distant, are REDRUM -- murder spelled backward on the bathroom mirror — and the topiary animals that move about of their own accord. I figured my experience of reading The Shining was fresh enough for me, since I remember keenly where I was when the book first came out, and where I was when I read it — in a new house in a subdivision on the western perimeter of Knoxville, Tenn. And for most of the last half of the novel, I was stretched out on a sofa in the living room, reading along so terrified that I was afraid to get up and walk around. Maybe I was just an impressionable guy, who at that time had not yet turned 40 and so held a lot of misimpressions about love, marriage, work and life at large. But I knew terror when I felt it, and the book had that effect on me, oh, yes, it did. So Doctor Sleep, the sequel to The Shining, gives us the story of Danny (now Dan) Torrance's adult life, his wrestling match with alcohol, and his struggle to find stability and use his power — the shining — for good purposes. And that might have made for a steep hill to climb, except that King immediately picks up where the end of the first book left off, and reveals to us that for Dan, not much psychic time has passed at all. Stephen King is the best-selling author of The Shining, Carrie, and The Dark Tower series. The drunk who works odd jobs in the health care industry carries with him everywhere the psychic scars of that terrifying winter in the Rockies — compounded by daily wrongs he commits while inebriated or stoned. Any fan of The Shining will follow Dan with great interest and concentration. If you're new to this fictional world, a few paragraphs here, a page there, and you'll be up to speed on the central story. Which, as I suggested, becomes engaging nearly from the start. Certainly the threat of overwhelming evil, only hinted at in The Shining, comes on stage quickly and nearly full bore in the person of Rose with the Hat. She's the leader of a group of long-lived extra-human vampire-like creatures, who feed on human beings gifted with the power of the shining. (They kill them, and breathe in the enervating "steam" from the dying victims). Their longevity has allowed them to accrue vast amounts of property and cash, which they hide by means of a series of dummy ownerships and corporations, and their deliberately mundane appearance as a band of (mainly) retirees driving RVs and dressing like low-end department store slumps has allowed them to travel back and forth across the country undetected, and feed and feed and feed. A rather neatly designed plot has kicked in even before the book opens, because this group — called the True Knot — makes its summer home in the same Colorado location as the (now in ruins) haunted hotel in The Shining. And though he is working in New England, Dan gets drawn into their coils after he's contacted by a local schoolgirl named Abra — whose shining powers, as it turns out, are not merely stronger than his, but powerful enough to catch the attention of True Knot Rose all the way on the other side of the country. And so the battle is joined — an epic struggle pitting Rose and the True Knotters against young Abra, with Dan playing a decisive role on the side of the schoolgirl. I could hardly find the courage to turn the page. Almost 40 years later, I've changed, the world has changed, the planet has changed — and Stephen King is still scaring the hell out of me.